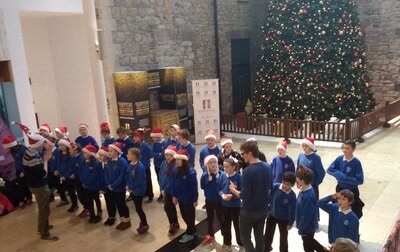 On Tuesday December 13th, fifth and sixth class went to Scotch Hall to sing Christmas carols. 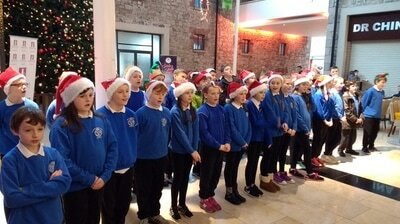 We had a wonderful location in the shopping centre and managed to collect lots of money for the school. 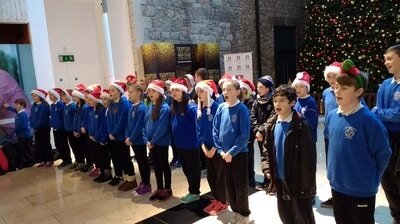 The boys and girls sang very well and were excellently behaved, so much so that they earned a night off homework. Many thanks to all parents and family members who came out to see and hear us. 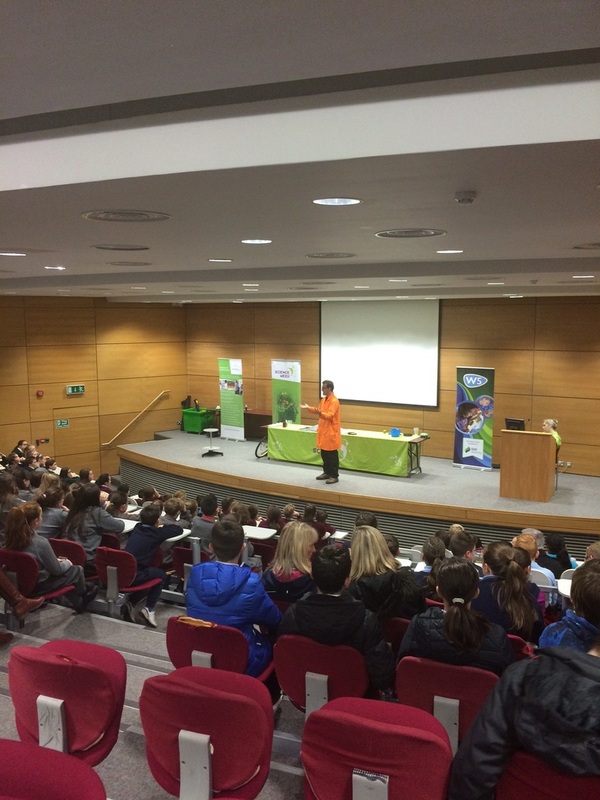 During Science Week sixth class went to DKIT where we were treated to show from a science magician from W5. 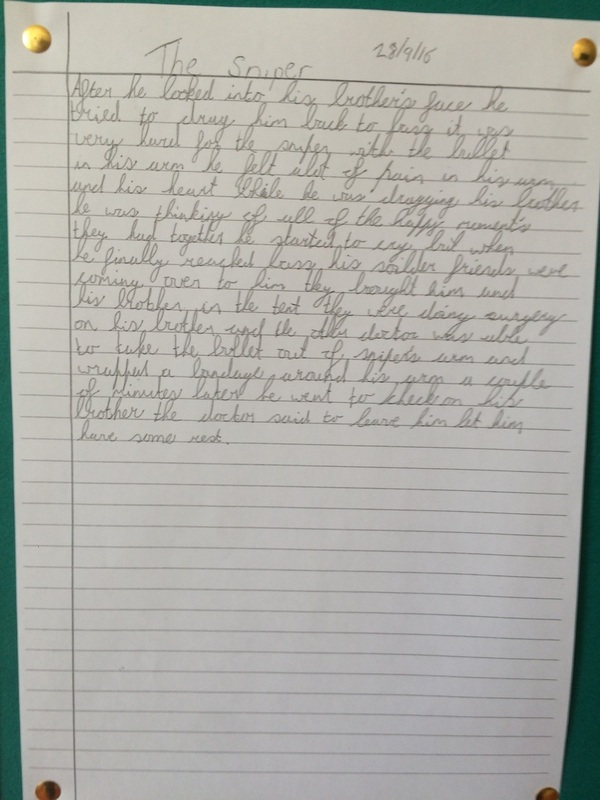 He challenged us to tell if his tricks were magic tricks or science tricks. 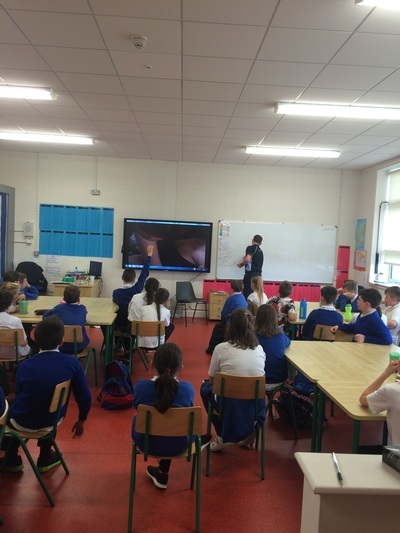 We watched him alongside sixth classes from all over county Louth. Everyone enjoyed the show and learned a thing or two about science at the same time. 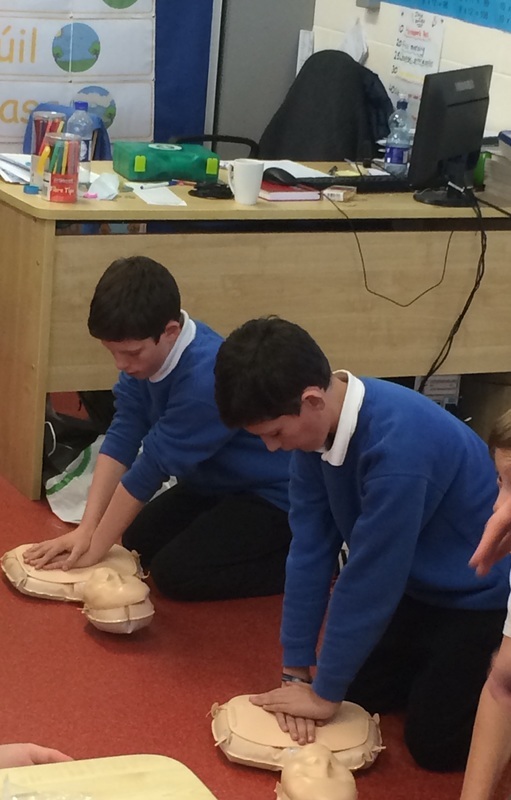 On Friday October 21st, fifth and sixth took part in first aid training with paramedic Shane Devlin. 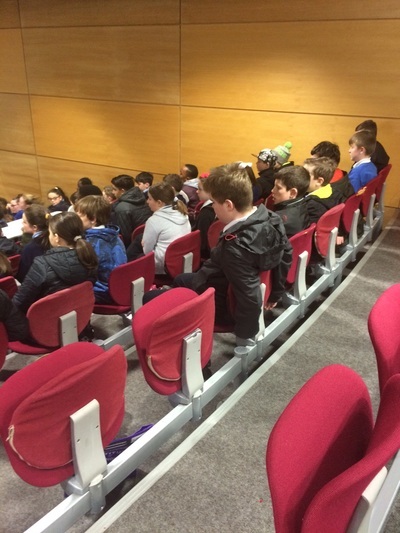 Each student received a certificate to show that they took part. 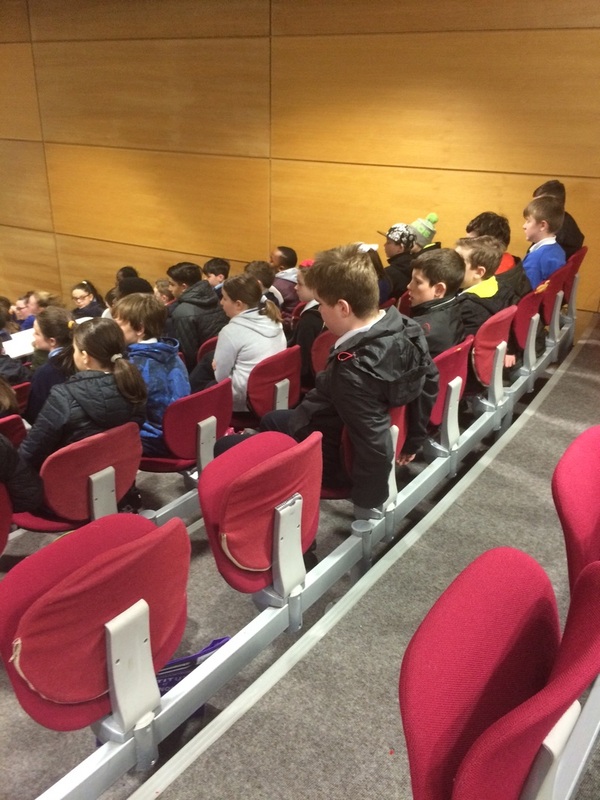 Everyone enjoyed the afternoon and learned some vital information. 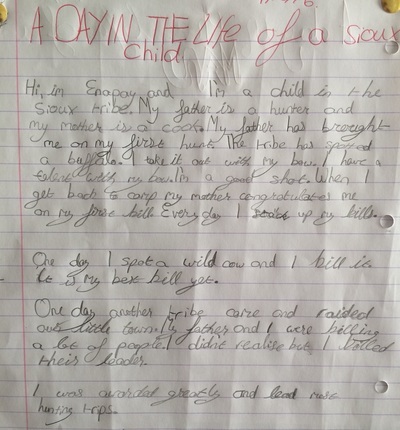 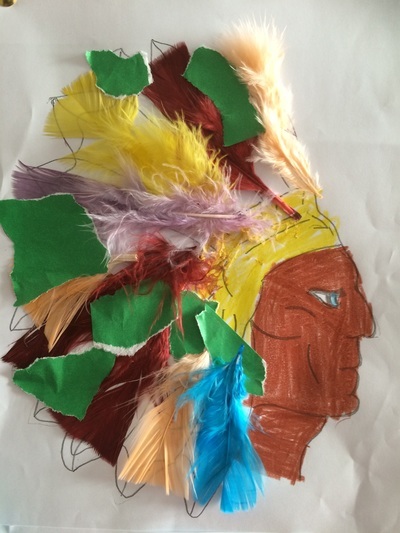 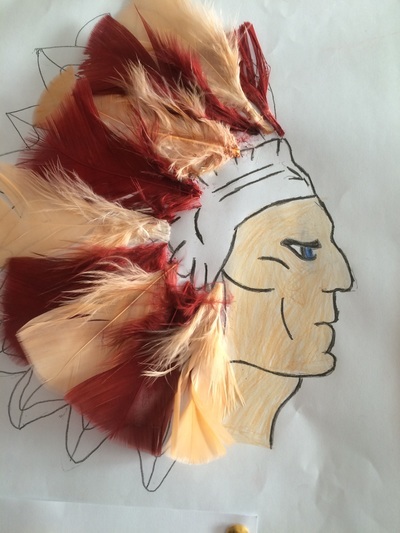 This month in sixth class we have been learning about the Native Americans. We have located their homes on a map, studied the daily lives of the men, women and children of the Sioux tribe and debated the advantages and disadvantages of their nomadic lifestyle. 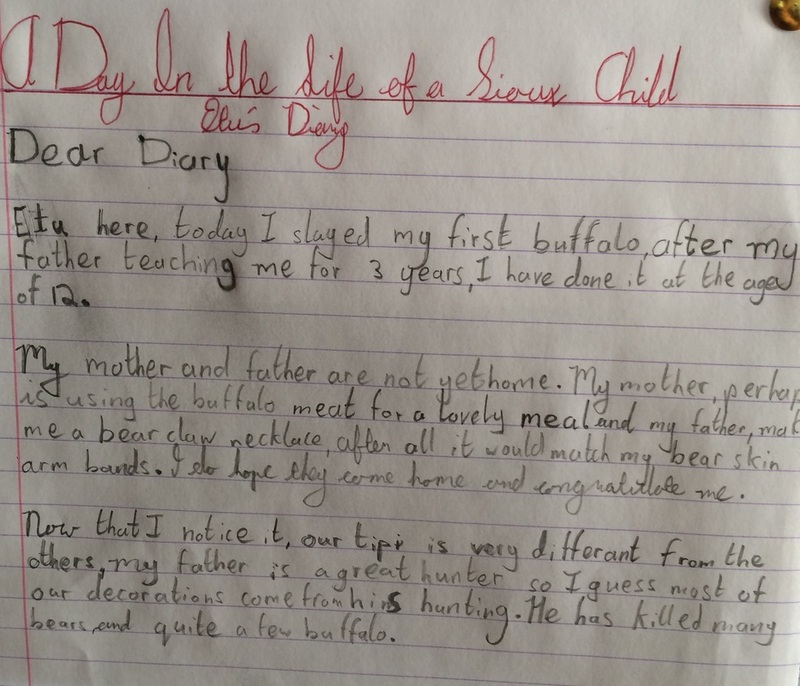 We learned about the Battle of Little Bighorn and wrote diary entries from the point of view of the leaders of the opposing forces, Sitting Bull and General Custer. We created dream catcher during art. Dream catchers were presents given to Native American children from their grandparents. They believed that the sky was filled with dreams. 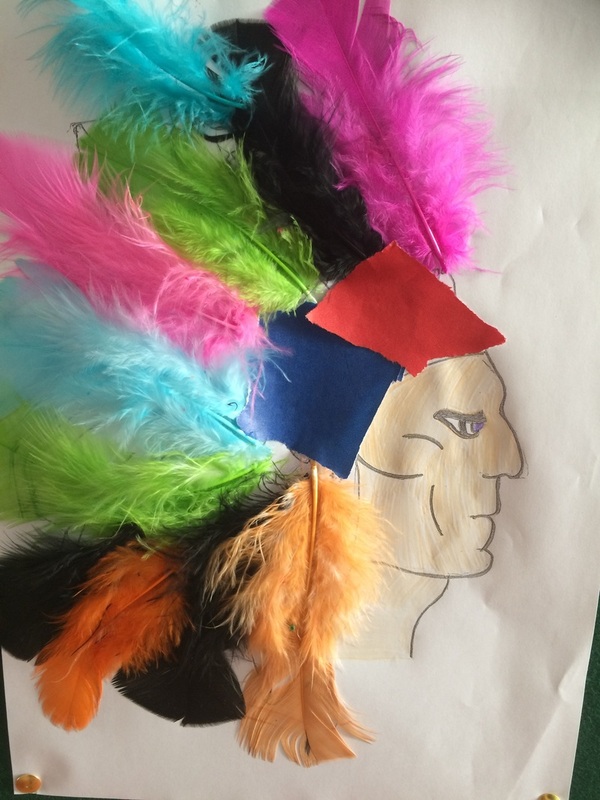 Every time the feathers on the dream catcher were moved by the wind, they believed it was good dreams heading towards the child. 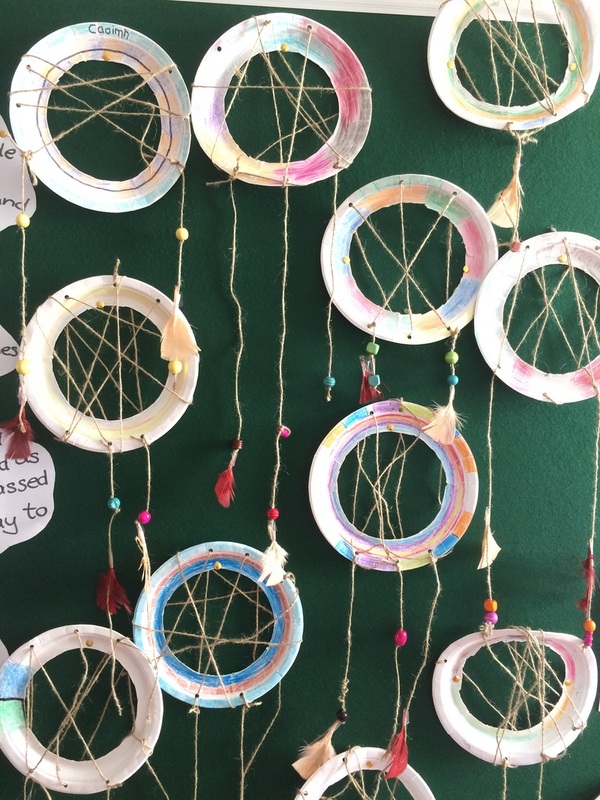 They believed that the net on the dream catcher caught the bad dreams before it got to the children. 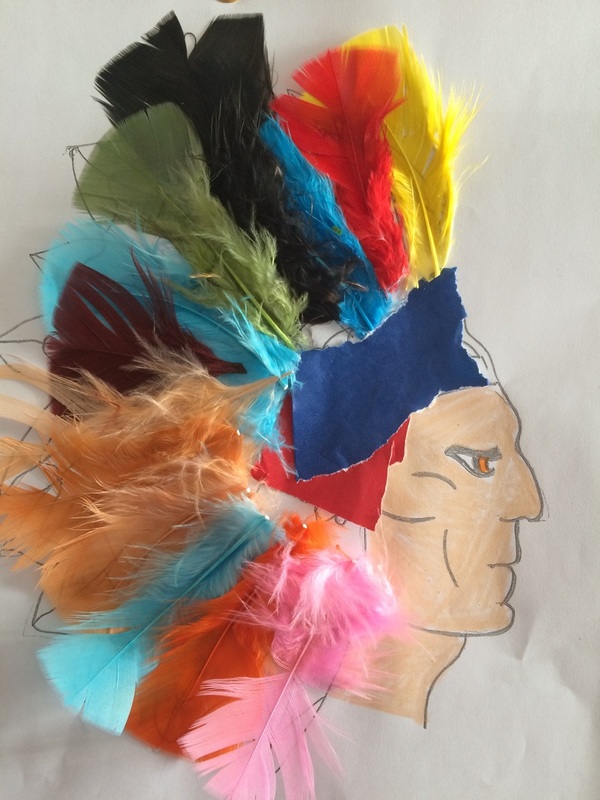 We also created Native American head dresses using feathers. Have a look at some of samples of our work. 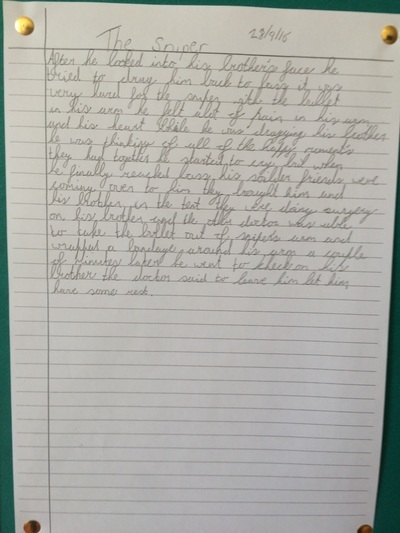 We have reading the short story 'The Sniper' by Enda O'Flaherty. 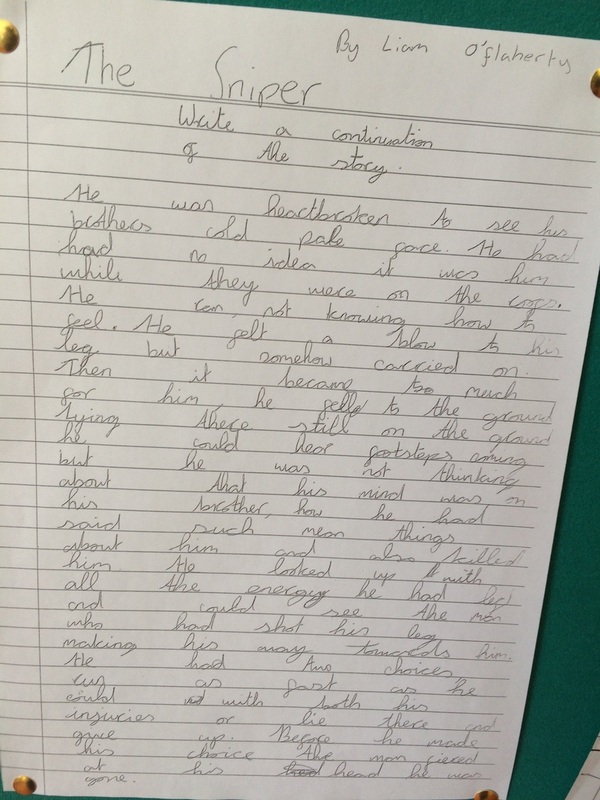 We have examined the stories using the 'literacy roles' Connector, Passage Picker, Question Asker and Artful Artist. 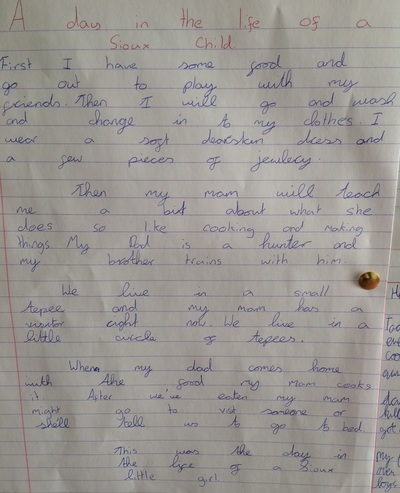 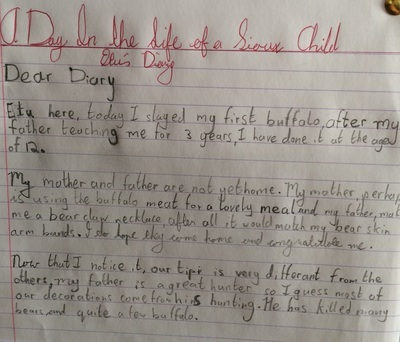 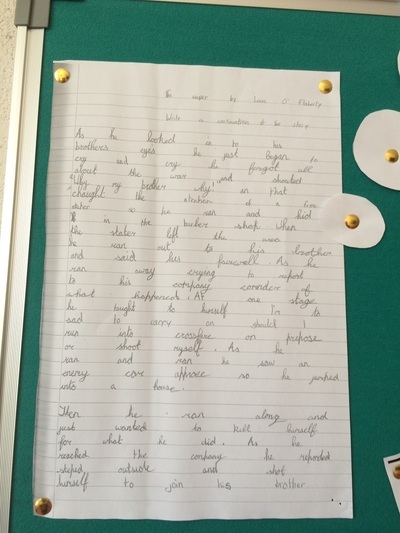 We also wrote a continuation of the story and a diary entry from the point of view of the sniper. The sniper was a complex character and the two sides of his personality are illustrated perfectly in some of our artwork. 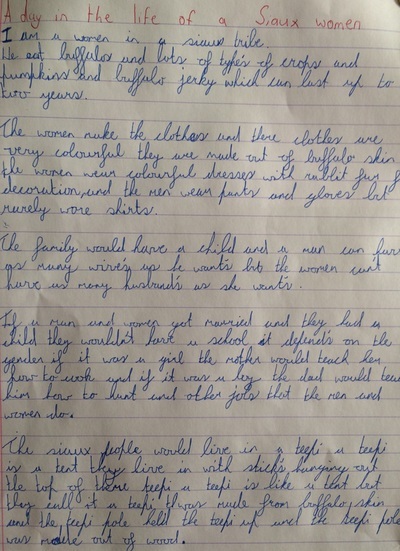 Have a look at some of the work samples included here. 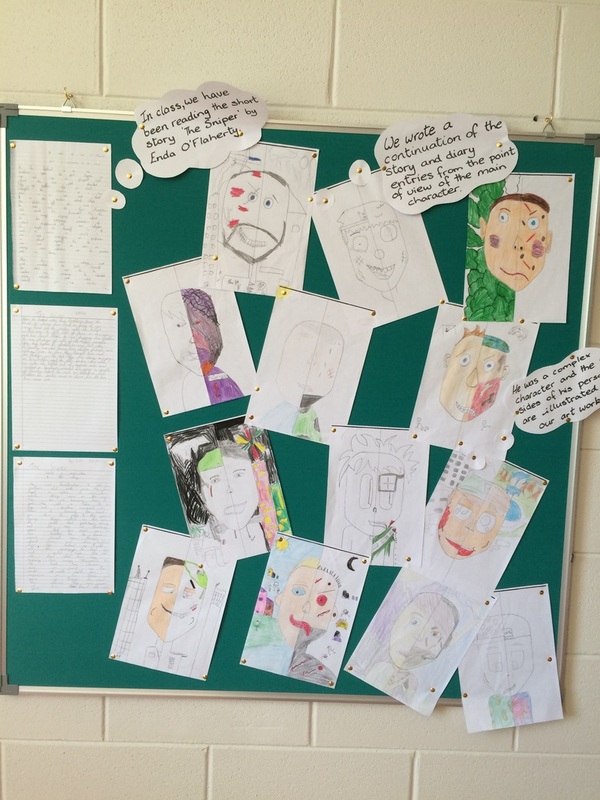 Welcome to the sixth class blog. 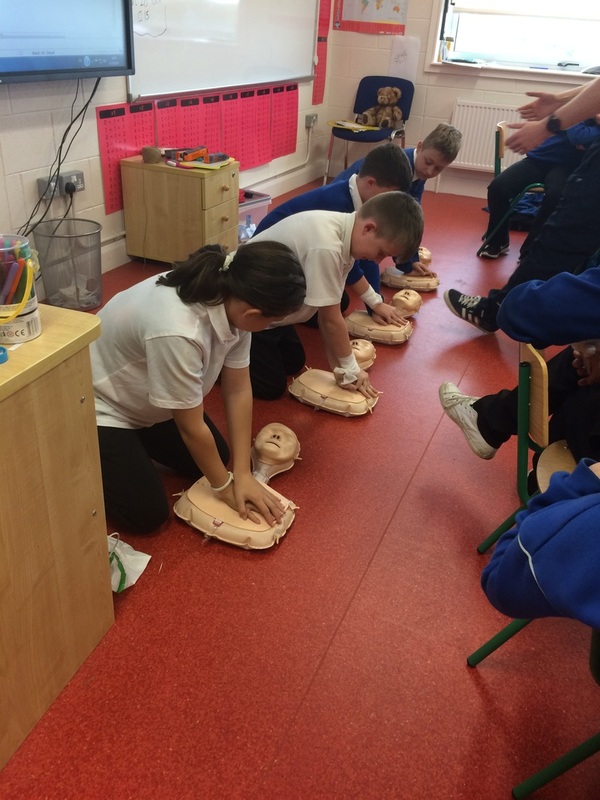 We have an incredibly busy year ahead of us and you can keep up to date with some of the goings on here. If you have any questions about our class, please do not hesitate to contact me.